170 p., 18,1 x 25,4 cm. Edited by Anna van der Lugt and Bob van Rootselaar. This volume contains the 20th part of the ›Miscellanea Mathematica‹ written between 1821 and 1826. 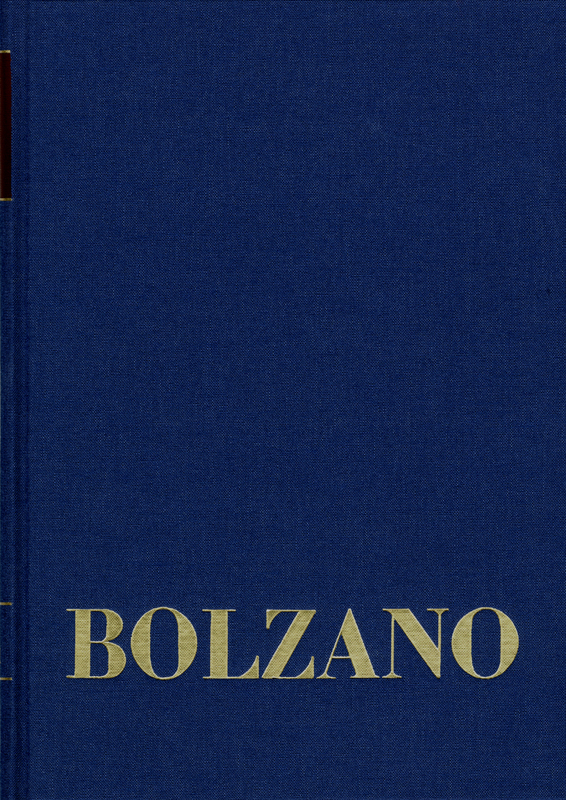 In this diary, Bolzano deals in detail with the determination of the equation and the graphic representation of geometrically determined lines as well as with exercises from Lacroix’ Textbook on the Theory of Probability. He also studies the concepts of quantity, opposites, series,continuity, curvature, proof of Taylor’s theorem and the ratio of force to speed. In addition, diary number 20 contains mathematical applications for the shape of beehives, the shape of a megaphone and for the economical growing of trees.